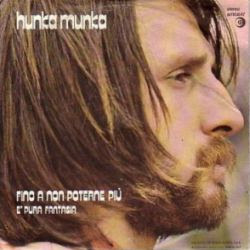 Main » 2010 » February » 7 » Hunka Munka ~ 1972 ~ Dedicato a Giovanna G.
Hunka Munka ~ 1972 ~ Dedicato a Giovanna G.
Keyboardist Roberto Carlotto from Varese, whose nickname was Hunka Munka, began playing since his childhood, though his musical career was seriously compromised by an aircraft accident that caused him some heavy injuries. His beginnings as a professional musician took him to play in England, Germany and Switzerland, where he even had the chance of supporting such artists like Rod Stewart and Colosseum. In Italy he had previously played with Big 66, I Cuccioli and later with Ivan Graziani in Anonima Sound, in 1970, before entering a solo career starting with a single in 1971. 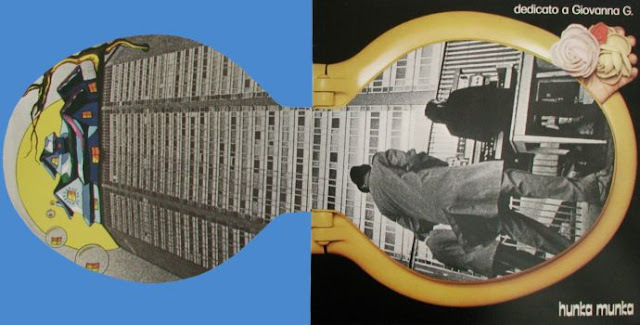 As a solo artist, Carlotto was easily recognised by his very good technical quality and the high level of his equipment, that included an incredible number of different keyboards and even the early examples of tape drum machines. His only solo album, Dedicato a Giovanna G., with his outrageous cover, is a soft-prog album, obviously dominated by Hunka's keyboards (especially his self-customized Hammond organ) and odd tremolo voice resembling Demis Roussos or Bee Gees. Among the backing musicians were drummer Nunzio "Cucciolo" Favia from Osage Tribe and guitarist Ivan Graziani, that had also played in Anonima Sound before leaving for a successful solo career. The album contains 11 short tracks, two of which also released on single, mostly in a pop style and sometimes marred by orchestral and backing singers arrangements, like in Io canterò per te. Anyway it contains some nice moments for prog fans, like Ruote e sogni, the album's longest track with very good organ playing. After the album release Carlotto joined Dik Dik in 1973, again with drummer Cucciolo and still plays with him now as "Carlotto & Cucciolo". He has also presumably released an electronic album in 1984, Promise of love (Atlantide AMX 12003), under the name Karl Otto. Carlotto is now working with the young keyboardist from Calabria Joey Mauro, talented user and repairer of vintage keyboards, for the proposed revitalisation of the Hunka Munka name.